Thanks Pollyester for the tip! 500 meters (tram) or 250 meters (bus stop) walk. The concerts are free, you can give donations on the way out. You can see information on their other events on their facebook page. We visited two great bird parks at the end of October near Detmold (the last weekend before they closed for the winter). 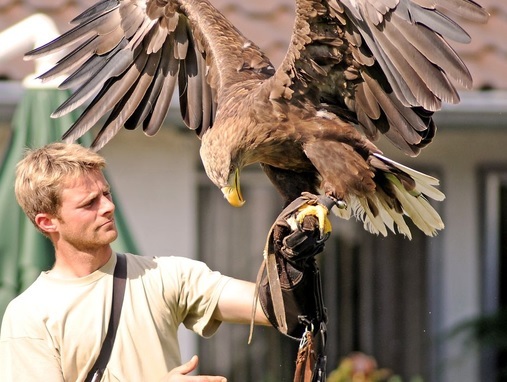 The first was Adlerwarte Berlebeck and is all about eagles. They have a live show twice a day which is great, even if you don’t speak German. They introduced about 5 different types of predators and the birds flew right over our heads and followed the trainer as he walked around us. My sons loved being able to see these giant birds close up. 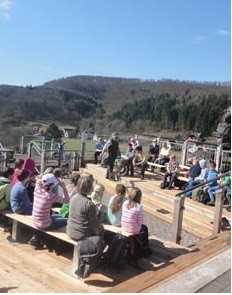 The observation deck is also in a beautiful setting overlooking a valley and hills beyond. The show is the main reason for coming but they also have different types of birds in cages to see, plus a nice playgroup for kids. They open again next March but if you want a take a peek earlier, they have a christmas advent fair on November 28 – 30, 12:00 – 20:00 and entrance is free. 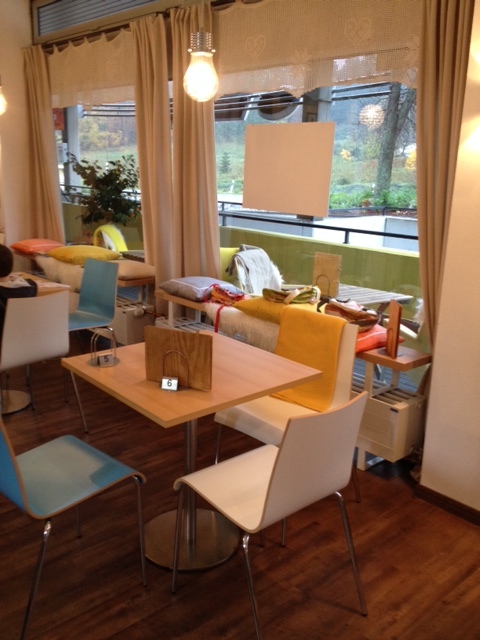 Afterward we went to eat at Cafe Haus Hangstein nearby which has lovely view of the woods and a great kids corner with trains, books and toys. 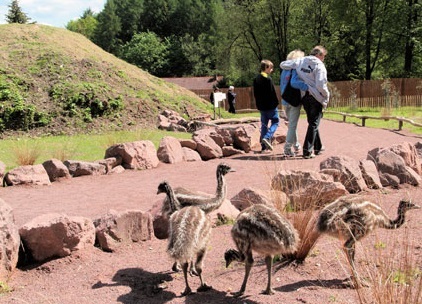 Ten minutes by car is another great bird park – Vogelpark Heiligenkirchen. A much bigger selection of birds and other animals (wallabys, monkeys etc). You can get up close to many of the birds and animals, the parrots love to sit on your shoulders and nibble on your ears and my son had a great time feeding the parakeets. He had 5 eating out of his hand and about 20 around his feet (don’t forget to buy the bird food at the entrance). 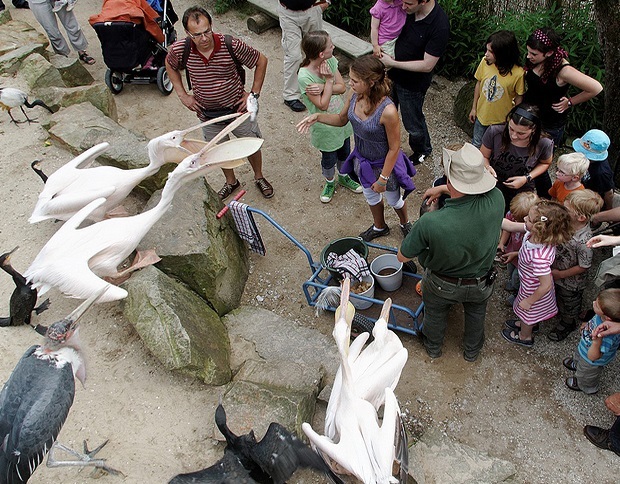 At 15:00 everyday they have a feeding tour and explain the different animals. There is a big play area with rides, trampolines, a pirate ship and sand to dig in for treasure, plus a water play area. 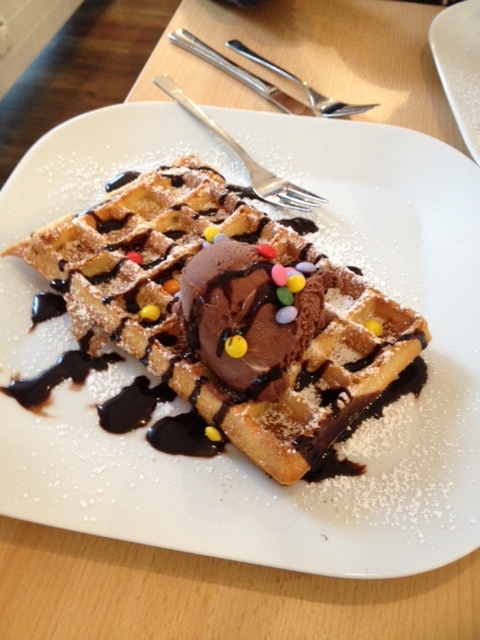 They will also open again next March. I forgot my camera, so all photos are from their websites.